Most of the day on Monday, April 28, Harrison was a scene of devastation and smoke. Sheriff John Wilson’s home caught on fire and was ultimately destroyed, first by thick black smoke, followed by jumping flames as winds picked up to around 38 mph. Wilson, his family and dogs are safe. They lost everything including their pet fish. For more on this story check out this week’s Clare County Cleaver. *Photos taken by Staff Reporter Anna McNeill and Owner of the Cleaver, Marty Bucholz. Can you walk on water? Make ice cream in 60 seconds? Float a magnet in mid-air with no strings attached? 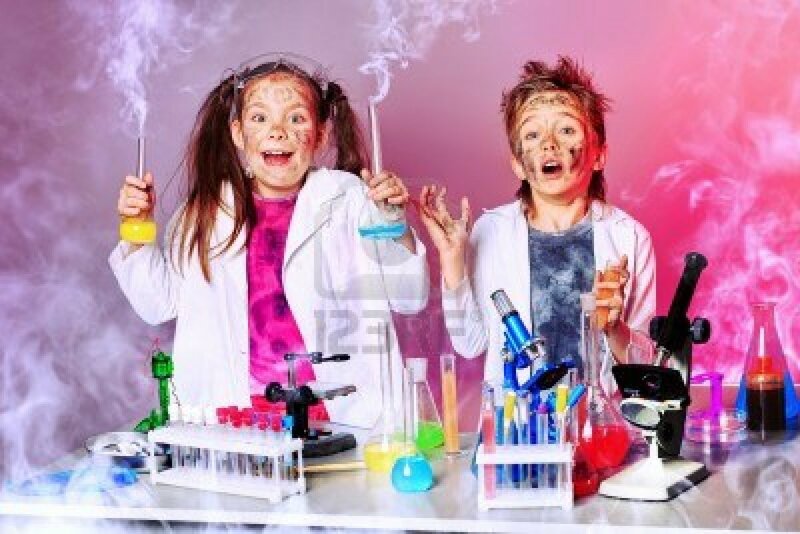 Thanks to AT&T Michigan and the Michigan Technological University Mind Trekkers, middle school students from the Harrison, Mich., area will have the chance to try their hand at these and other science “magic tricks,” at Mid Michigan Community College’s Science & Engineering Festival. The festival takes place on Tuesday, May 6 from 9 to 11:30 a.m. and noon to 2:30 p.m.
AT&T Michigan is sponsoring three science & engineering festivals at Michigan community colleges that week, all featuring the Michigan Technological University Mind Trekkers. Mind Trekkers piloted its STEM road shows with support from AT&T in May 2011, conducting events at the Traverse City Career and Tech Center, Lake Superior State University, and at Bay College – Escanaba and Bay College – Iron Mountain. The enthusiastic response from students and teachers, a majority from rural communities, helped launch Mind Trekkers. Since then, the Michigan Tech Mind Trekkers have taken their science road show to festivals and expos all over the US. Hundreds of thousands of students, parents and teachers have participated. Growing up in Mount Pleasant, young Robert Knapp heard tales of his father’s adventures growing up in the city of Clare. He remembers fondly, of his brother and his visits to his grandparent’s home on E. Sixth Street in Clare. These connections to Clare and the stories his father shared with him brought Knapp to buy his great-grandfather’s1888 log cabin in 1995 and has been working to restore it ever since. As he traveled back to Clare to work on his great grandfather’s cabin restoration project, he was able to meet many people in Clare. These encounters solidified his interest in the town. Having heard the story of the murder of the century from his father, who had reflected on the very day Isaiah Leebove was shot dead at the Doherty Hotel back in 1938. Knapp didn’t think much of the murder of the wealthy, gambling man again until a return visit in 1998. During some down time in Clare, waiting for his car to be repaired by a local Clare mechanic, Knapp bough a box of old newspaper clippings from the time of Leebove’s murder, at an estate sale which he had happened to stumble upon. Knapp was reminded of those stories his father and grandfather had told of gangsters in Clare and his eight year research of the incident began a few years later, in 2003. Knapp has written many books about ancient history, many about the ancient cities of Roman Spain, but he also embarked on a few Clare based books, Clare 1865-1940 was the first of his books about Clare, published in 2012. 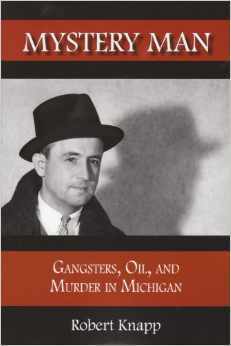 This book recounted, “the story of a small Michigan town as it emerged from the white pine wilderness to become an oil capital of Michigan.” Now, his second Clare inspired book, Mystery Man, Gangsters, Oil, and Murder in Michigan, is hot off the presses. Knapp said that the researching and digging wasn’t the oddest part of doing his newest book, he was use to looking into old records, what was new for him, was finding living people to talk to. Trolling the internet for newspaper clippings was one of the main parts of Knapp’s research. Once he had reached the limit of helpful documents from online, Knapp started looking into those still living who could help give some background on the men involved in the murder at the Doherty. This was a challenge for Knapp, because many of the people from the area who were alive during the event had died relatively recently. After much searching, Knapp finally found a living relative of Leebove who remembered a bit. Then, Knapp found the nephew of the another key character in the murder, Carl “Jack” Livingston, who didn’t have much information from personal experience, but whose father had told many stories about Jack. “It was a very long process,” Knapp said with a sigh. As few people surfaced, Knapp was able to find the perfect source in Forrest Meek, who had been able to talk with people involved in the murder back in the 70s. He did a great job of taking notes and transcribing his interviews which Knapp said, gave great insight into this murder. Knapp’s book is finished and is up for sale on Amazon. He has been working hard with Pere Marquette District Library’s Director, Sheila Bissonnette to set up two books signings, and to find local stores and merchants to sell his book locally. Knapp will be at the Pere Marquette Library in Clare, Friday, April 25 at 7 p.m. and at the Harrison District Library in Harrison, Saturday, April 26 at 3 p.m.
At these two events, Knapp will be giving a public lecture about his book and will then be doing a book signing. Books will be available at the library and a few local stores, such as the Colonville Store, for $15 or there are available on Amazon for $17. With the book release, lecture and signing, Knapp hopes that he will have more people of Clare come forward with stories and more information about the murder of Leebove at the Doherty Hotel all those years ago. The Clare County Artists Council Quilt Trail committee had an addition of FIVE new quilt blocks put up in various areas in Clare County on Thursday, April 10. Check out the slide show below with special thanks to Jane Sartor-Key, Vicky Gunden and Hogger’s Customs for their photos of the other four quilt blocks, our reporter was only able to stay for the first installation of the block at the Clare-Gladwin RESD barn. Also, grab next week’s issue of the Clare County Cleaver to get more on this story. Photos taken by Clare County Cleaver Staff Reporter, Anna McNeill, at the Clare Railroad Steering Team’s groundbreaking ceremony at 8:30 a.m. on Wednesday, April 9. “Michigan Read & Feed Gardens Blooming in Clare County” at Harrison VFW 9am-11am. Includes breakfast & prizes. in Clare brought to you by Downtown Business Group. Watch for more details—coming soon! !